Franklin Armory 3094CA: Franklin Armory specializes in producing legal firearms for restrictive jurisdictions (such as California), and its firearms are made in America with 100% American-made parts and materials. The CA-compliant Salus 7.5" pistol is self-extracting and utilizes a single shot sled. Each firearm is hand-built with a custom-tuned, single-stage Franklin Armory trigger, and every firearm is test-fired prior to shipment. The Salus pistol features a 7.5" barrel with a 1:9" twist and a Triad flash hider. The chamber, bore and barrel have a salt bath nitride finish. The upper and lower receivers are machined from 7075-T6 aluminum with a rail-length Picatinny rail. 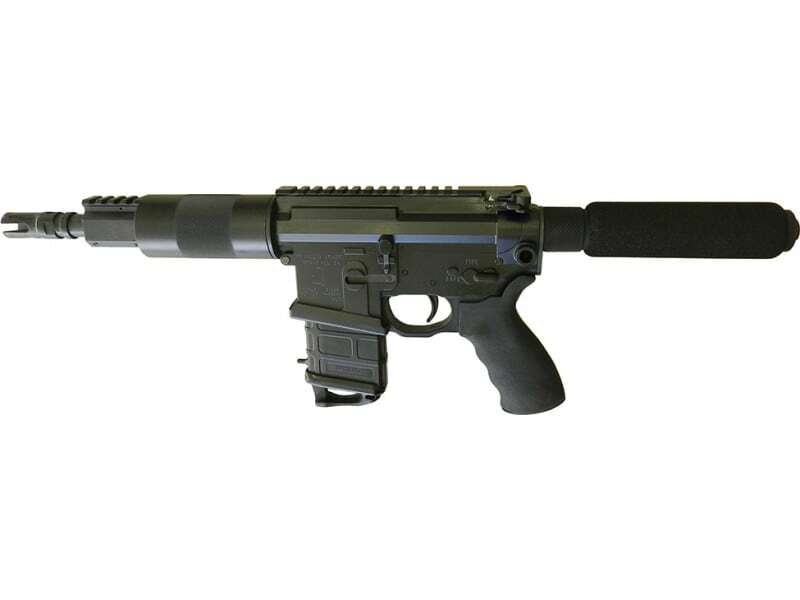 The Salus pistol also has a pistol-length gas system with a Picatinny rail gas block, knurled free-float handguard tube, padded receiver extension/buffer tube and an Ergo Ambi SureGrip. It ships with a comprehensive safety manual, a California-certified cable lock, and a tactical soft-sided case.